A big store with on site parking. 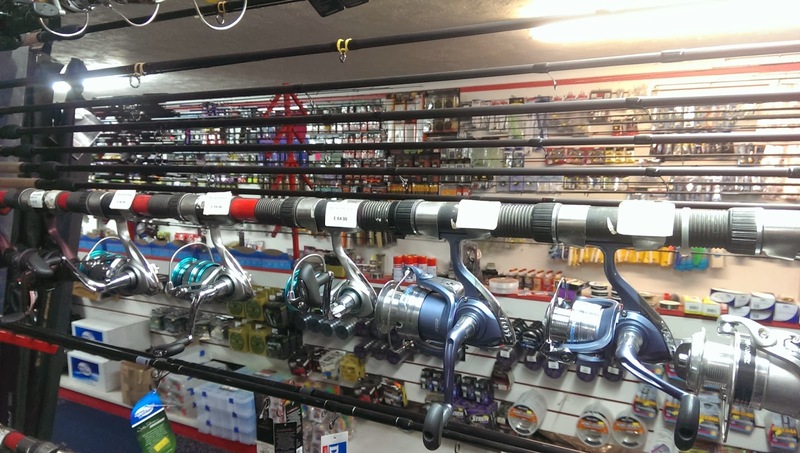 The Angling Centre is a large building, and as you enter you are met by a fairly large collection of rods. They range from Carp to Feeder and Match to Beachcasters. Beachcasters form roughly half of the rods on show, and being so close to the coast that obviously makes sense. Looking beyond the rods I was quite pleased to see a large amount of coarse and carp fishing equipment on the back wall. To the left there was a glass bait counter covered with a selection of floats, disgorgers and other coarse fishing bits. Behind the glass there were trays of maggots (Red, White and Mixed), but I didn’t ask about Casters or Worms. In all honestly (it may have had something to do with the time of day, 5pm) the maggots looked old, the ones that remained wriggling had very small feed spots and the ones which weren’t wriggling were very much “turning” to Casters. Still, at least I know that it sells bait. Turning around and walking to the opposite end of the store (passing fridges with trays of ragworm on your right) there is another bait counter which contains the remaining sea fishing bait. Trays of Lugworm and Black Lugworm were behind this glass counter with frozen baits behind. I had to laugh, it was the only place that I knew of where you could buy some Lugworm and a Mars bar. Good to know, if you need a sugar boost while fishing I guess. Walking up and down the aisles I saw a lot of sea fishing equipment, including monofilament, hooks and swivels to beads, tripods and Red Gills. One thing I have noticed since moving to the area is people spin for fish in the sea a lot more than in S. Wales. West Bay Angling Centre confirmed this and had an extensive collection of feathers, lures, plugs and spinners which all looked like they could catch fish in the right month (Spinning in December may be a bit risky). 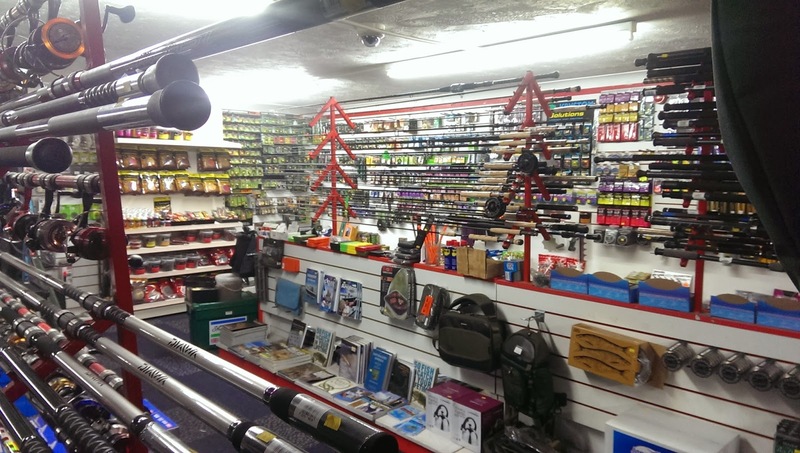 The back wall had a good selection of coarse fishing equipment and some groundbaits. I was surprised to see the whole selection of Drennan catapults and spare elastics. There was also a good selection of hooks, pre made rigs and other tackle box essentials. You could easily stock up your bits box with the things on sale in the store. Inspecting the equipment further, unsurprisingly the majority of the gear on show was Carp gear. With boilies, pellets and fake baits all hanging up. On my walk around I didn’t see any poles on show, but that doesn’t mean that they don’t sell them or didn’t have any in stock. I also asked the chap behind the counter about coarse fishing in the area. He helpfully explained that the best club in the area was Dorchester. Another sales assistant provided further details with the number of waters they have, and the cost of an annual ticket. They also both told me of the various open coarse fisheries in the area, and when I told them where I actually live (Haselbury Plucknett) they told me to try out the very popular match venue Viaduct fishery in Somerton. This is a venue I intend to fish quite often as it has a number of different lakes and frequently throws out huge match weights. Since my visit to the Angling Centre, I have also found out that it arranges fortnightly parent and child sea fishing competitions off West Bay breakwater. I found this out by incidentally visiting West Bay the following weekend and seeing dozens of parents and children fish off the breakwater. It was a hugely encouraging sight, especially given a recent Mr Crabtree discussion that less children are taking up fishing. Perhaps they have lost interest in freshwater catches and found an interest in sea fishing? I did find that the equipment in the store, including the small bits, readymade rigs and monofilament to the carp hooks, groundbait and replacement catapult elastic, was quite expensive. On this occasion I was looking for catapult elastic. A quick bit of mental maths from last buying elastic showed it to be around 17%+ more expensive. Not that forgiving on the pocket, despite it being such a little item. Then again, given the location and the vast array of items on offer perhaps you pay for convenience? 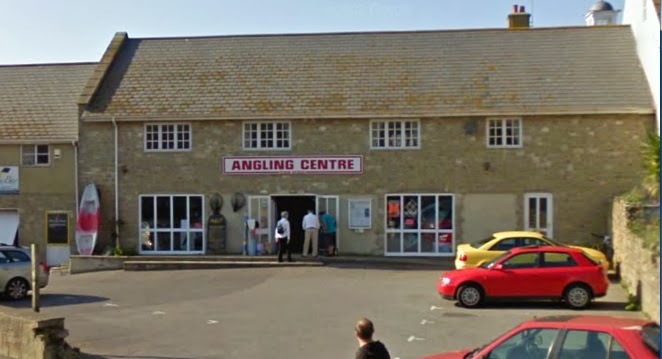 West Bay Angling Centre is definitely an ideal store to visit if you fancy an impromptu chuck off the breakwater, and given the limited selection of stores in the immediate area a lot of people obviously visit the store. But I would certainly consider what you are buying, and if it could be bought for cheaper elsewhere or online. That being said, the advice I received was friendly and comprehensive, which is something you don’t get with online purchases. I have used this shop each year when on holiday down West Bay and have no problems with either tackle,bait or staff and would recommend it. Only down side is dragging the young lads away so we can actually get some fishing done as its a shop that they love to look around and around lol.